For nearly a year peace reigned in the enchanted kingdom of Rillanon. But new challenges awaited Arutha, the Prince of Krondor, when Jimmy the Hand - the youngest thief in the Guild of Mockers - came upon a sinister Nighthawk poised to assassinate him. 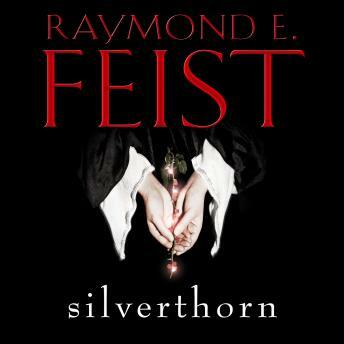 Silverthorn is the second book in the Riftwar Saga. The trilogy concludes with book three, A Darkness at Sethanon.